I couldn’t let the holidays go by without posting at least once more peppermint recipe. 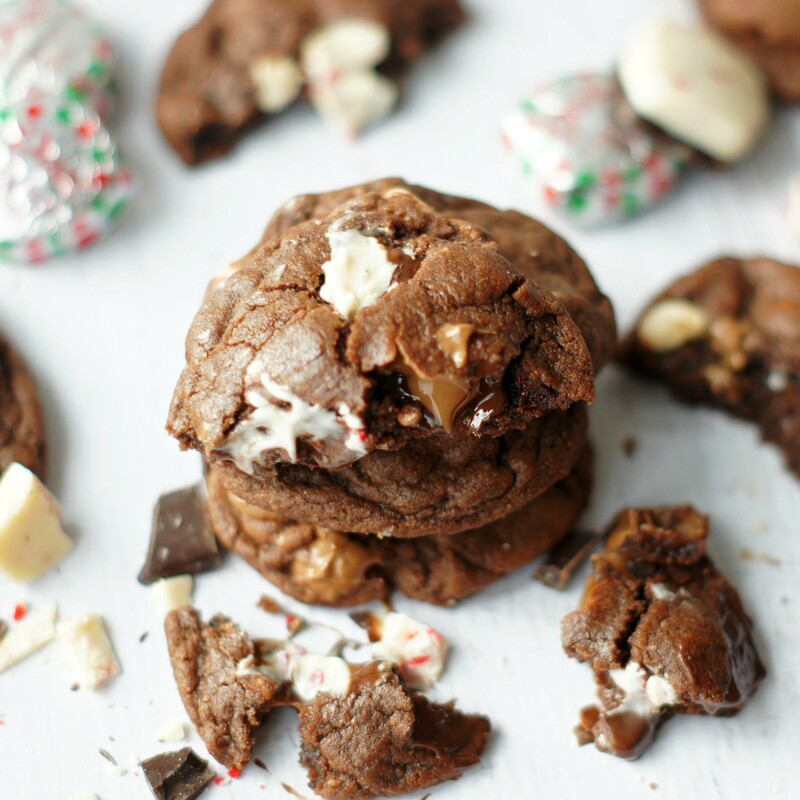 These chocolate peppermint bark cookies are the best of both worlds . . .cookies and the combo of chocolate/peppermint, I love them both and hopefully you will too. Your cookie exchanges may be over, but that’s no excuse not to make these cookies. If you’ve never had a Dove Promise chocolate you are missing out. They are amazing and probably one of my favorite chocolates. The peppermint bark promises are amazing! Throw them in some chocolate chocolate chip cookie dough and you have a total holiday party going on in your mouth. P.S. The dough is amazing and slightly addicting! 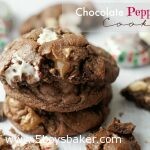 A chocolate chocolate chip cookies full of chopped peppermint bark, perfect cookies for the holidays. In a large mixing bowl mix butter and sugars, just about 30 seconds or so. DO NOT CREAM! You will still have some lumps of butter. Add flour, salt, baking soda and cocoa. Mix until all blended together. Stir in chocolate chips and chopped Dove Peppermint Bark Promises. Roll dough balls by hand, making them slightly larger than normal. Pat them down slightly after placing them on an ungreased cookie sheet. Bake for about 9-10 minute, DO NOT OVER BAKE. Remove from cookie sheets and cool on a cooling rack. Now try and control yourself and don’t eat the whole batch! Thanks Annie! So glad you liked them. How soft should they be? I baked then fur 10 minutes at 350, but they don’t feel like they are done. I did use insulated pans, so maybe that makes a difference. It just depends on how soft or crispy you want the cookies. After 10 mins, they may not look done when you take them out, but they set up as they cool. Let me know how they turn out. Thanks – I went with the 10 minutes and swore they weren’t done, but they did set up nicely, as you said. I thought they were better on day two, and they are mostly gone! Thanks! 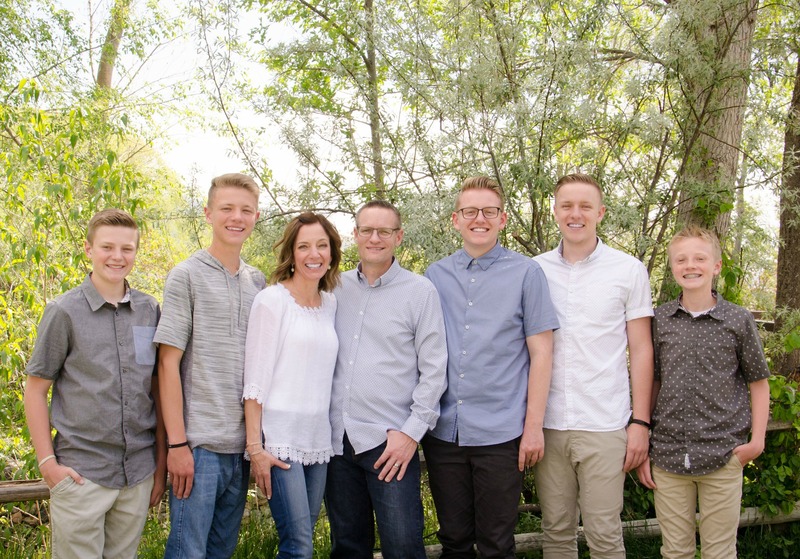 I’m so glad they turned out for you Erin. Hope you have a Merry Christmas!